The input from the sticks isn't as accurate as the uninitiated might think. This program demonstrates and solves the inaccuracy. The purple line originating from the middle shows the raw input data from the controller. The darkened area in the middle is the deadzone that is associated with the raw input. The lighter circle is the rectified input. When you roll your stick around a full circle, you can see that it doesn't make a smooth circle; it makes this puffy pillowy shape -- which isn't how it should be, so it needs some code to rectify that. Last edited by ahv on Sat Apr 04, 2015 3:49 pm, edited 1 time in total. Oh it works, I just mean that without the code, the "circle" you make is not a circle. 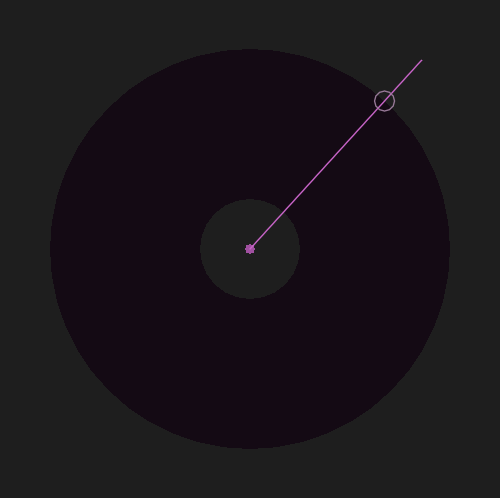 You can see what the shape would be if you make a full circle with the stick and look at what the end of the purple line traces. I was just being redundant with the last paragraph... I don't know why. 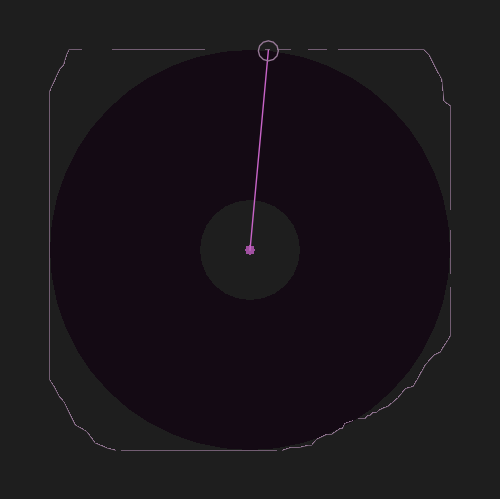 I added some code that draws a trace to clarify, press a (or button 1) to clear it. Yes, when you make a circle on your controller stick, it would make sense to expect the input to make at least roughly a circle too - which it doesn't. Even if a brand new controller was able to make a perfect square with it's circular movement the raw input data would still have to be processed a little bit to make it useable in a game (assuming that accuracy of the stick input is important in the specific game).